In this article we do not cover the wiring, we assume that you inspected all the connections and the power wiring. First off inspect everything, both battery and the rest of the system, check if it is in good shape, check if anything has been modified in any way, check that your battery connections are done the right way and check the wiring for shorts, cuts, cable crush or loose connections. You also need to read the FAQ'S for your respective pack, specially if you have a Jumbo Shark and a Killer whale pack, they have a charging procedure. The special procedure is found at the bottom of the Hard Case FAQ. 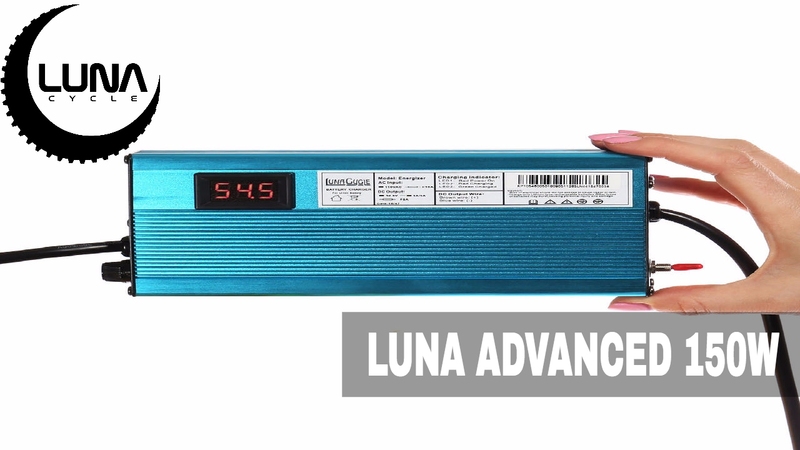 Resources on charging procedure and installation for all types of Luna battery packs. These 2 chargers have a knob to change the charge level (%). Before changing it you need to unplug the charger completely and let it sit for 10 seconds before selecting a different %, then plug it back. The Charger is completely dead and the AC outlet is fine? Then it's possible that the input fuse is blow, it can happen with a simple surge from the grid. Some chargers have a external fuse mount , some have internal fuse so you will have to remove the top cover (4 screws)... Just remember to unplug it first! Make sure your charger is working properly. Having an extra charger around can make this step a snap...if you don't have an extra charger around consider buying one. If your charger requires a charging adapter, make sure you have a spare too. The charger (or adapter) is usually the culprit and not the battery and it’s almost necessary to have a back up. It doesn't have to be an expensive unit is could a 30$ basic one. Troubleshooting electronics starts with a proper multimeter or even just a small voltmeter. Luna Cycle sells a very good multimeter for 20$ Or borrow one… but it’s good investment, especially since you love your ebike! Let’s measure stuff, I won’t go into details showing you how to use your multimeter, but just select a range in Vdc up to the max voltage of your battery. The XT60 has a "+" and "-" sign stamped on the sides on the connector. On the other side the inner barrel is the "+" while the outer barrel is the "-"
Here is how it looks inside the port of the Shark pack, there is a large spring tab (negative terminal) that keeps pressure on the male barrel to make a contact between the male inner barrel terminal to the center pin (positive) of the female barrel. If the barrel end if broken, here is a nice cheap and effective fix for it, click this link. Plug the charger in the AC outlet. If you have a Luna mini or advanced , select the 100% position before the AC plug. Is there any lights on? 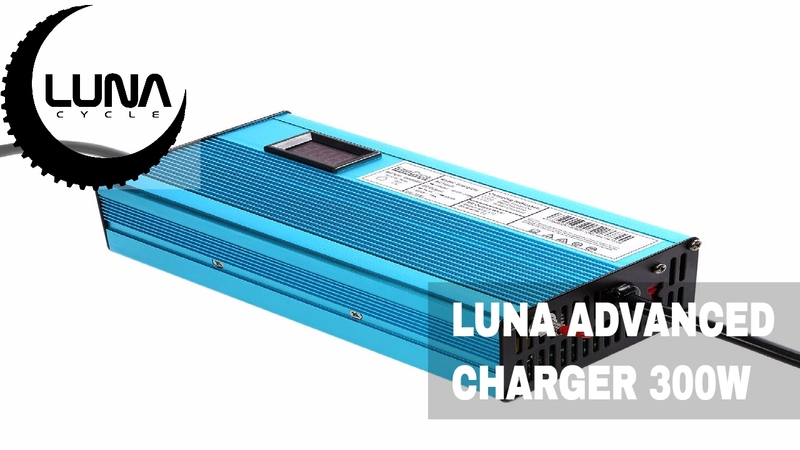 (Luna blue charges should show 2 leds (one green and one red) if not change the outlet and check the fuse (if any, all luna blue chargers have one), If no leds continue with test #3 and if no voltage you will need to replace the charger. * Very rarely you might come across a charger that will not output any voltage if no load is detected, so jumpstarting and testing is not possible with them like the other chargers, this charger MUST be plugged into the battery before the wall. (opposite of how all other chargers should be used) Otherwise it will not charge even if nothing is wrong with the battery. Next this is to connect the 2 wires up to the bulb, it will be very dim but you should see the fan kick in and RED led on the charger glow! That means your charger can charge and do a jumpstart! 1.5 Alternative to charger testing. 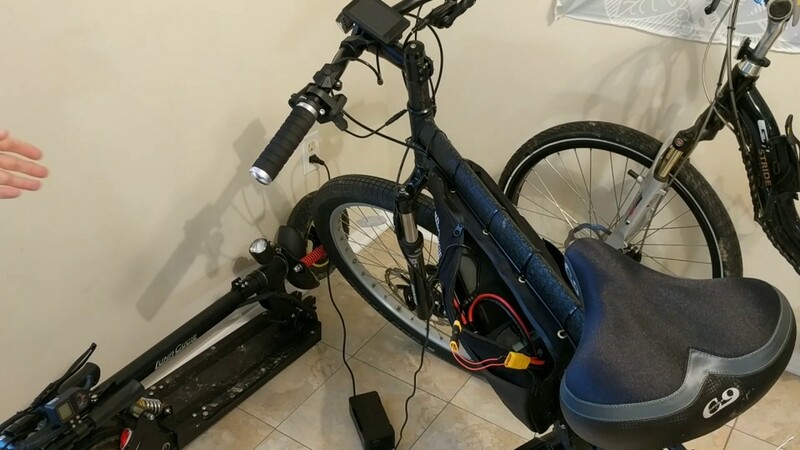 You can try to power your ebike with the charger , you just have to remove the battery and hook up the charger directly to the power wires, if you can power the display and make the motor spin with the wheel up that would indicate that the charger can power a load, rule out the controller and would point out to the battery. 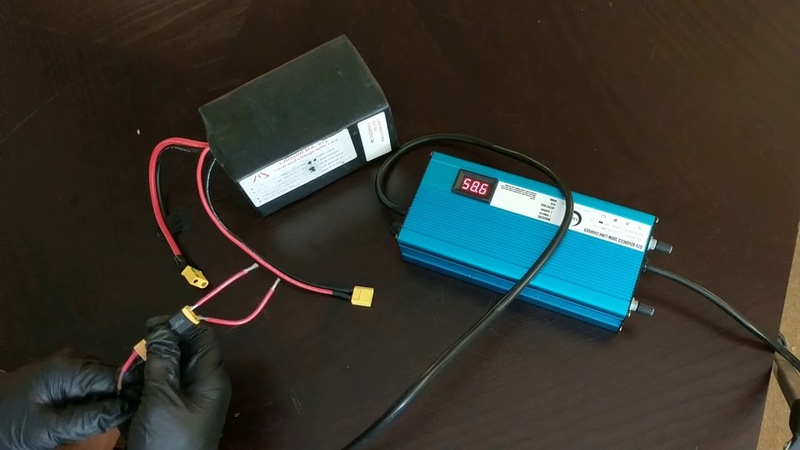 This video will explain how to connect the charger to a BBSHD motor. In rare cases an old charger might have worn out wiring from mechanical strain, repeatedly bending the wires on the charging cable back and forth might break the strands to the extent that it can no longer send power through that cable unless the cable is oriented a certain way. The best way to check for this would be to first see if you have power coming out of the charger while flexing the cable in various positions. Last edited by Sebz; 04-11-2018, 12:01 PM. Note: If you are here it’s because you have voltage out of your charger, it doesn’t mean that it’s still fully functioning, there can be many other problems in the charger. *Remove the battery pack from the bike or cradle for the testing. Use a actual multimeter to test. Not a wattmeter, or bike display, voltmeter, or charger display. There are many types of batteries on the market but 2 main classes, hard case and soft packs. 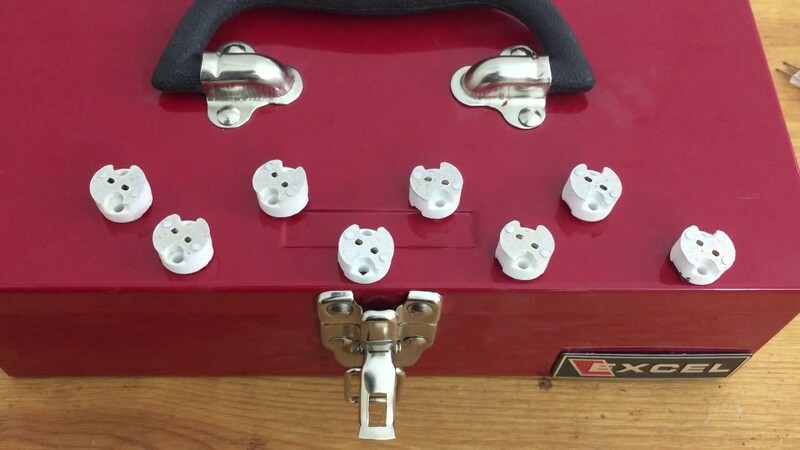 To test the hard case you need first remove it from the cradle and locate the terminal on the back, some have 2,3,4 or 5 holes, tabs, prongs, clips… they are all the same, 2 of these will give you the voltage. The multimeter just reads the voltage, you won't short anything unless you cross your multimeter probes and touch the + with the - so you can test the charge and discharge ports even if you do not know which side is negative or positive. So just like testing the charger you want to test both charge and discharge on the battery. After plugging an xt60-barrel adapter to a barrel port (not plugging into the charger, just the adapter in the battery), the plus side of the xt60 should be going to the red multimeter lead and the minus side should go to black, and you should see positive voltage when testing for voltage, not negative voltage. If you did see negative voltage here the charging port on the pack would be miswired. The idea here is to individually test each potential point of failure by comparing it to the others. 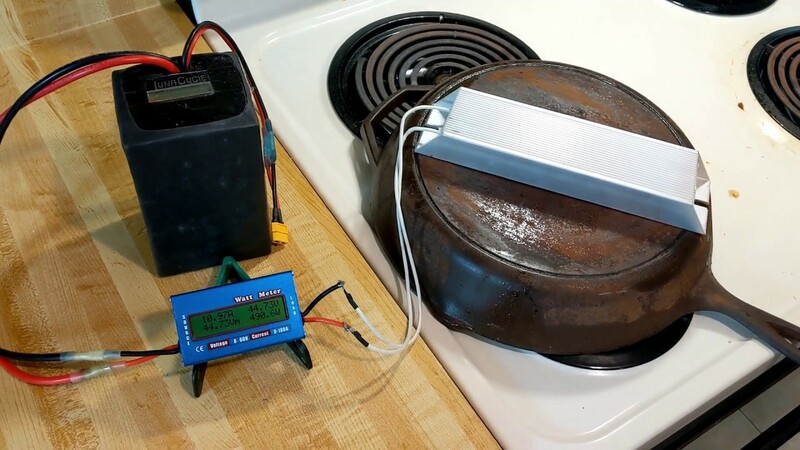 You can do the same testing of voltage with the discharge connection so you have something else to compare it to, and to make sure the BMS is not tripped. If it is tripped you will see very little voltage and it will need either a jumpstart or regular charging before the BMS resets. Note all your testing results, it can come handy when you contact your supplier! Just put multimeter test probes in the connector and measure the voltage. This is the tricky part if you have a barrel port and your charger is only a 30$ (or so) barrel plug unit it’s really difficult to measure the voltage without shorting out the positive and negative , If you have an old 5.5mm barrel plug on a old electronics device you could cut the wires and strip them (make sure you separate them so they won't touch each other and measure the voltage from the wires! Is not still this test. But if you have the charging adaptor to convert the male barrel to a XT-60 to charge with a Luna advanced (mini or 300W) charger you can do the test. Just plug the adaptor in the port and measure the voltage on the terminals on the XT-60 connector. If you don’t see any voltage, test the continuity of the adaptor, they are a common point of failure. Just measure the voltage from the XT-60 (the smaller). That means the BMS is either tripped or damaged, go to the charge test and if needed go to the jump starting procedure below. Charge port: if you have a lower voltage (like the discharge port results) continue with the testing the charger, the BMS may be tripped. 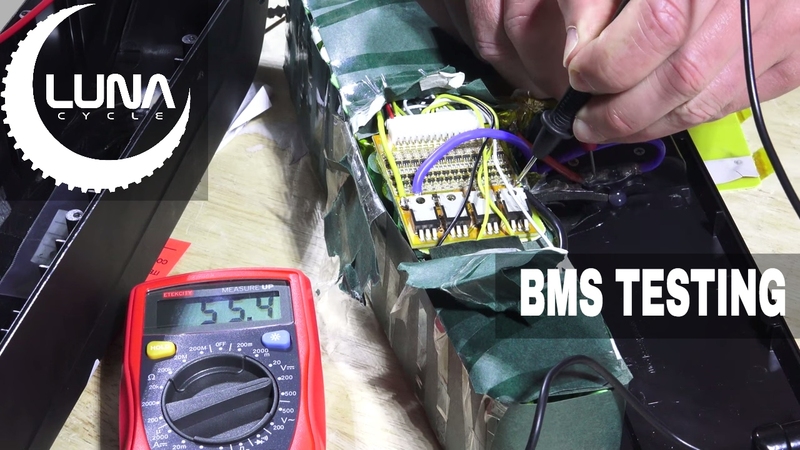 If you tested the battery correctly and your results are normal, same as the discharge port (if not tripped BMS) meaning you have between 38V to 58.8 on a 52V pack.it can be a bad charger or a damaged BMS. Refer to your battery model charging procedure** and plug the charger in the charging port of the battery. If you have a fan, the fan should start and and the red light will be on (both red in the case of the Luna mini and 300W advanced chargers). This indicates that the charging process is started. if nothing happens or the charger is cycling, ticking before the end move to the jumpstarting. if you have a luna charger and you are using a charging adaptor (barrel to Xt-60), test the continuity of both wires, it can very be the issue. Once the charger goes green, unplug it and test the voltage (discharge), you should read the full voltage (or close to) of the battery rating. if you don’t you may have a tripped BMS or a defective charger. So move to the jumpstart. “**” Some of the jumbo and killer whale, dolphins needs the on/off switch to be toggled, read here. Is the BMS your problem? Unfortunately sometimes an overzealous BMS can keep an otherwise good pack from working. More often than not in a failed pack it is a bad BMS. For example many BMSs have a short circuit protection. If they detect a short they shut down the pack and the BMS can sometimes not be reset so easily. One typical thing that can happen with a high amperage battery is plugging in the battery or even switching on the wrong kind of on/off switch can trigger a spark which the BMS reads as a short and instantly shuts down. To avoid this use xt90s spark resistor connectors when plugging in your battery. If your BMS has shut down the pack, the first thing is to try charging the pack. but if you are here this means it did not work and you need more extreme measures to revive it. Sometimes to reset a BMS requires charging through the discharge wires for a few seconds to jolt the BMS back to normal mode. After charging for a few seconds from the lead wires try charging now through the normal charge wire and see if the pack charges normally. If it charges OK, now try it on the bike and make sure it discharges OK. NOTE: It is important that you do not use the discharge wires to charge your battery for more than a few minutes because you will have no BMS protection if you do so. The jumpstart procedure in this article covers the shark packs but it’s pretty much the same for all batteries, you might need to make an adaptor or use some wires to do it. if you built your bike by yourself you probably can figure out how to do this. Just make sure you respect the polarity of the battery (you should know it because you tested it with your multimeter). Note: If your charger is the Grin Satiator, follow this procedure. If the charger started and you have now normal voltage out of it and you can charge normally….well it’s time to ride your bike and test the dischage. If the jumpstart didnt worked, the charger never started or you can’t charge you pack on either ports, it probably means that the charger need to be replaced first, there is a slight risk that the BMS is acting up too. But changing the charger is the first step, contact your supplier if the charger is still covered under warranty. If the jumpstart worked and the charger was running till you removed it and still not charging normally it probably means that the BMS is still the issue. There is another reset procedure on some BMS’s but it involves the opening the battery and unplugging the balance connection (sense wires) and plugging it back. So at this point before opening the battery you should talk to your supplier. After you talk to your supplier you can move to the next section below. 2.3 You have voltage but still can't power the bike, let's try to do a load test on the battery. -Similar to a jumstart but a light bulb instead of the charger. Incadescent light bulbs are perfect... the higher the wattage the better... 100W is fine 300W is better... remember a battery at 52V will only output about 18W if you connect it to a 100W light bulb. Avoid LED and CFL as most of them can't take DC and can't deal with anything lower than 100V. DISCLAIMER: We use the terms, can, should… because it’s not 100% sure that changing a charger will fix your issue, it’s just means that based on the results the most likely culprit is the charger and we recommend to try to replace it before sending a pack back to your supplier or try to open the pack to test or replace the BMS. Last edited by Sebz; 01-26-2018, 07:41 AM. Note that lithium packs contain a large amount of energy and can discharge it in a dangerously short period of time resulting a shock or fire. 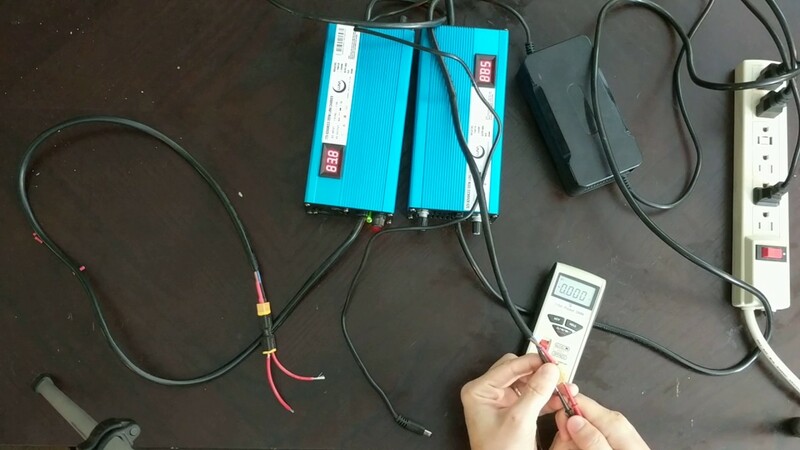 If you are not completely comfortable working on large battery arrays contact us for further direction. Disassembling your battery is not as hard as it sounds especially if you have a hard pack such as a shark or dolphin pack. Just undo the screws and you should be able to have your pack taken apart in a few minutes. If you have a soft shrink wrapped battery you are going to have to cut open the shrink wrap. This is easy to do but re-shrink wrapping your pack is a lot more work and you may want to just settle on duct taping it instead which works just as good but does not look as nice and is not as waterproof. What to look for once your pack is disassembled? First thing to look for is physical damage. Do you see burn marks by any of the cells. if yes contact your supplier before going further unless you know the risks. Are all the wires intact? Many times you can see a loose wire...and that is probably the culprit. Track all the wires that you can, the best that you can and make sure they are soldered into place. All our BMS's have a white connector that plug into the board on the BMS (called sense wires or balance wires). Sometimes this plug can wiggle loose. Make sure it is plugged in firmly. If none of this resurrects your pack its time for some real fun. 3.1 First step and really important one.... Do a hard reset on the BMS! Unplug that large white balance connector¦. Wait a minute and then plug it back in. This sometimes will reset a BMS that jump starting has failed on. leave the pack open and test charging it again... if it now charges, put it back together and do a discharge and charge again. If your voltages are pretty normal (slight unbalance is possible) you probably need to change the BMS!!! Contact your supplier to get a new one or get one online! Note: If you have a big unbalance, no voltage on one cell or more, contact your supplier for further info, it could be the BMS or it could be a bad cell in a parallel bank. Any time you see an imbalance it is a good idea to closely inspect the cells again and look for any physical damage that may be apparent. This is very bad news and is a rare occurrence. This happens usually from dropping the pack and damaging a cell or the spot welds that hold the cells together. Many times it is caused by a bad BMS that takes down a row or two of cells with it. Trying to fix a pack with bad rows of cells is for advanced users only, and if you bought your pack from Luna Cycle now is a good time to consider having them do the repair. If the cell bank in question is not too low you can try to resurrect it using a low voltage charger and get it up to the level of the rest of the banks. You would also want to replace the BMS because now the BMS is suspect. If the cell bank is very low (under 2.5 volts) this bank can never be safely resurrected and you should not even try. If you have bad cell banks that cannot be saved it is a good time to give up on the pack....or go through the nightmare job of disassembling the pack and trying to salvage the good cells or replace the bad cells using a spot welder. The BMS is not very hard to replace if you can get the same exact BMS your pack was constructed with so the Balance connector matches up. You can get a matching replacement BMS very easily for a Luna Cycle pack if you bought your pack from us. Here is a good article on replacing a BMS. Last edited by Sebz; 05-24-2017, 08:04 AM. How to bypass the battery to see if system runs from alternate power source? This video shows how to bypass the battery completely by running the system off of the charger. Note you probably do need an xt60 output on the charger to adequately wire it up, and it may spark a little bit when adding the wiring. Try to wedge the wiring into the fins of the contact on the xt connector(s) so it stays put while testing. May not work with all chargers depending on if charger needs to see a load to send power but this will work with most ebike chargers. Take care to get the polarity right and use a multimeter to verify if unsure. There is a + and - on XT connectors on the sides you can use to help verify you have polarity right. How to test polarity on some wiring? 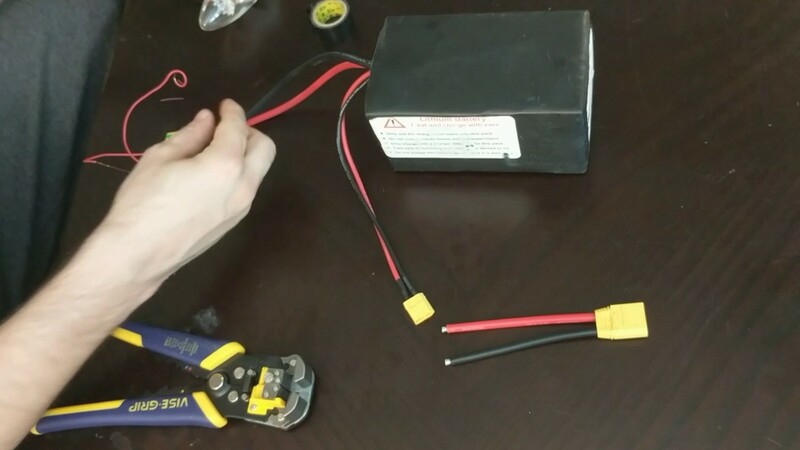 How to load test the battery to see if battery runs when using something other than the kit? (Take care not to short out anything which might potentially make things worse when using this guide) If you do you will need to reset BMS by charging it if it is a softpack, or jumpstart through discharge contact if it is a hardcase pack. typically if this happens it is due to the module that is connected to the selector switch, it is not user repairable. Takes 5 charges for a battery to get to full capacity when new and after a long storage. 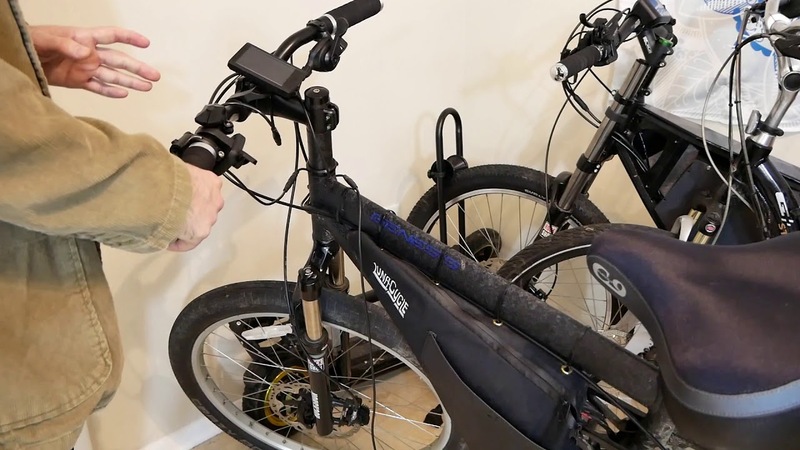 Practically all ebike chargers on the market need to be physically unplugged from both the wall outlet and battery for a minimum 30 seconds before the charger resets to start a new charge cycle. If this is not done the charger may still be stuck in balance charging mode and may not work right. My charger is working a little too well, can I dial down the voltage? Yes you can adjust voltage on any metal Luna charger by adjusting the potentiometer inside the charger. If no joy and you have never charged it before, check the pins on charge port. pin 1 supposed to be positive, pin 2 negative, pin 3 unused. 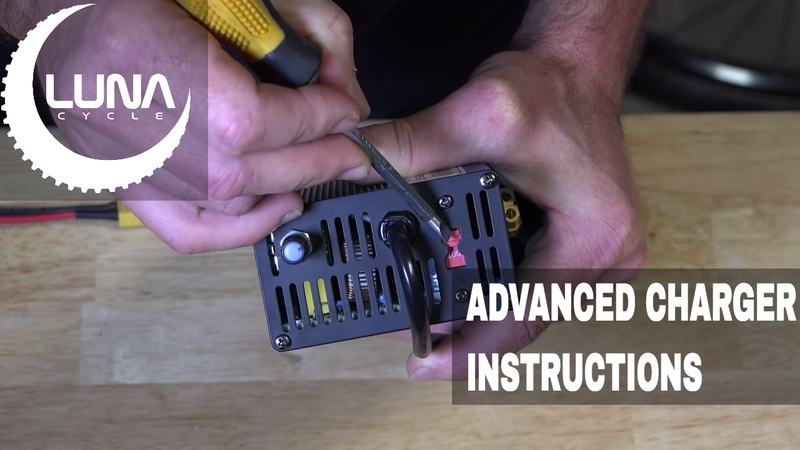 You can verify the power is on the correct pins by testing with a multimeter. NOTE: Some killer whale pack needs to be in the "off" position to be able to charge normally, it's due that some have a different BMS. While the charger is connected, if the battery's on/off switch is cycled off then back on, the charger will start to charge. Ideally you just plug charger into the wall outlet then plug charger into pack with the pack switched in the ON position but there was a revision to the design so you may need to cycle the switch first. Also, after the battery is finished charging we recommend putting the switch into the off position or it will slowly drain the battery due to being in standby mode. 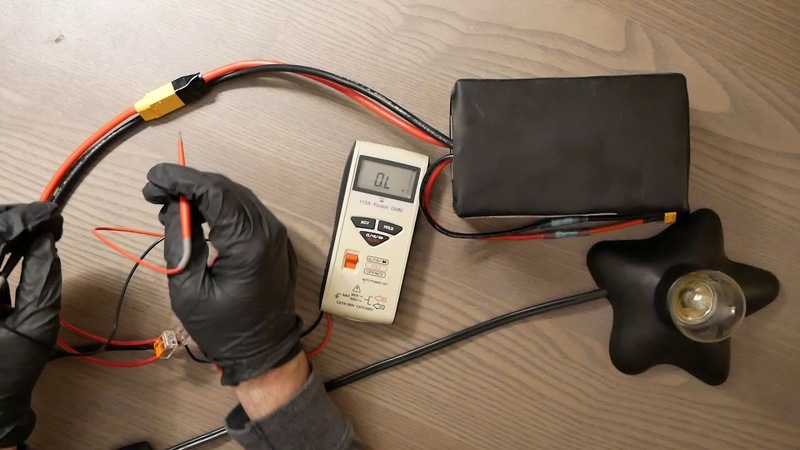 If you do not see voltage when testing with a new adapter open up the battery and bypass the charge port by testing the wires going to the charge port, pushing your multimeter leads through the insulation. If you now see voltage then the charge port is broken. If you have latest Shark you can simply unplug the xt30 from the other side of this connector and test for power at the xt30. 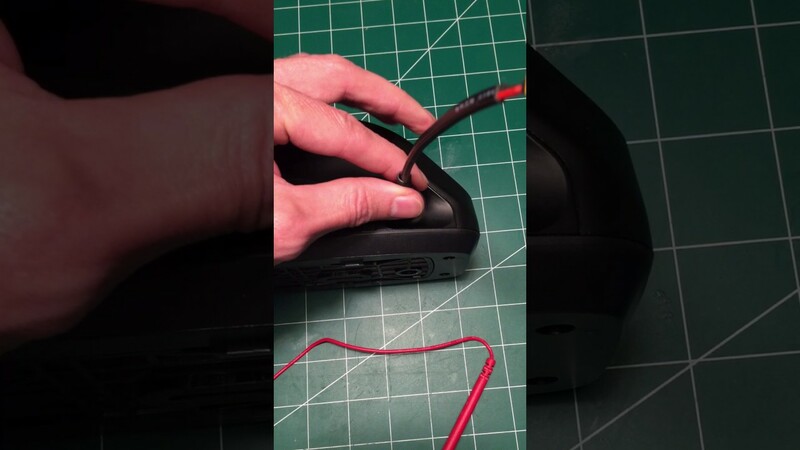 Once determining the issue, you can fix by either replacing if a replacement charge port exists, or bypassing by crimping an xt60 onto the wires that were going to the charge port. Xt60 pigtails sets are available in the connectors section of the website. Last edited by Sebz; 08-09-2017, 11:53 AM.